Our Grounded Gift Bag is the perfect wake-up call for coffee lovers. 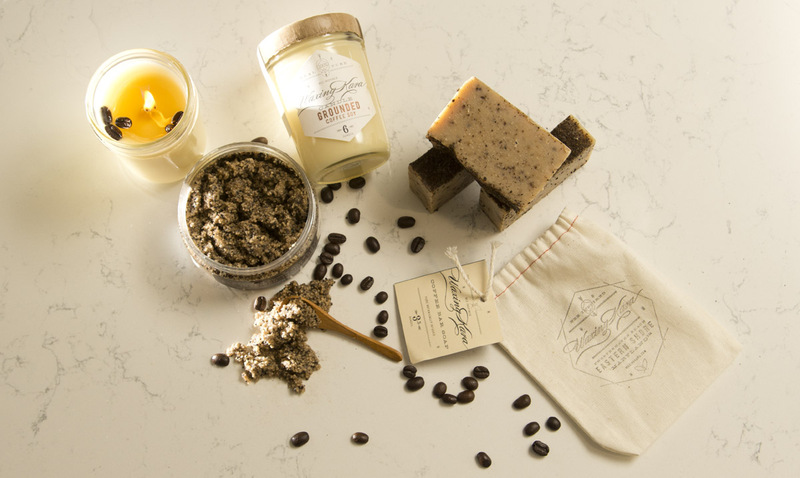 These products are made with real coffee grounds, honey, botanicals, and oils to treat the skin and home. A bag of coffee from our friends at Chesapeake Bay Roasters is also included to help get your day started. Earn 72 Points when you purchase this item! 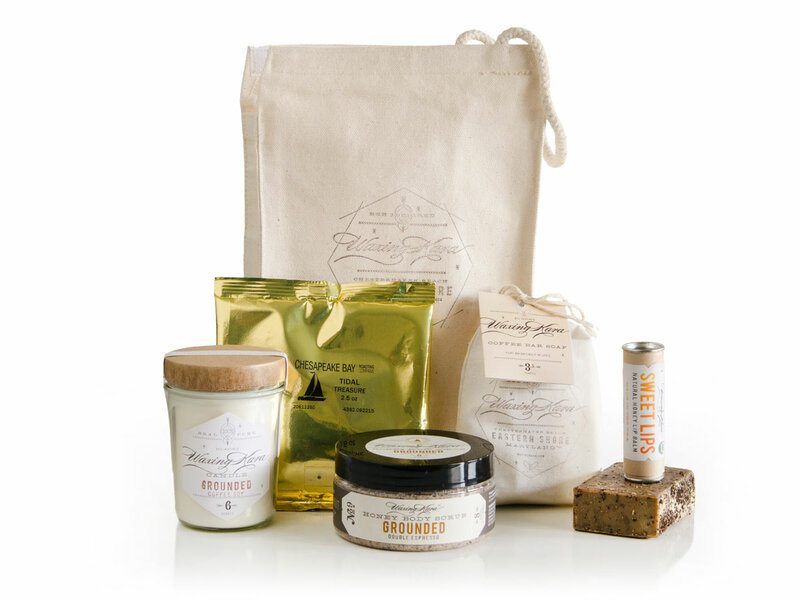 The Grounded Gift Bag is made with essential oils, real coffee and real honey. The coolest part of this gift is our collaboration with Chesapeake Bay Roasters. We use their fresh roasted coffee, Tidal Treasure in our Grounded Scrub, Coffee Bar Soap, and it comes with a full pot of freshly roasted, ready-to-brew Chesapeake Bay Roasters coffee. This grounded gift represents the Eastern Shore of Maryland with great pride. We have written quite a bit about caffeine and skin and cellulite. Dermatologists with the International Association for Physicians in Aesthetic Medicine (IAPAM) suggest that regular application of skin care products incorporating caffeine may reduce redness and inflammation associated with various skin conditions.The result is skin as rich as espresso. All of our body and candle products are made by hand in the USA and at least 75% organic. Packaged in a beautiful hand-stamped Waxing Kara cotton bag. 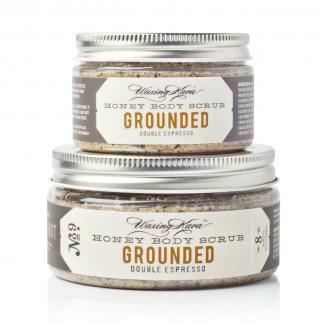 Grounded Scrub made with coffee grounds for fresh, renewed skin. and a bag of Tidal Treasure Coffee made by Chesapeake Bay Roasters.